TOKYO — Japan's Defense Ministry is seeking a record-high 5.17 trillion yen ($51 billion) budget for the 2017 fiscal year to bolster missile defense capability amid an escalating North Korean threat and to better protect disputed islands also claimed by China in the East China Sea. 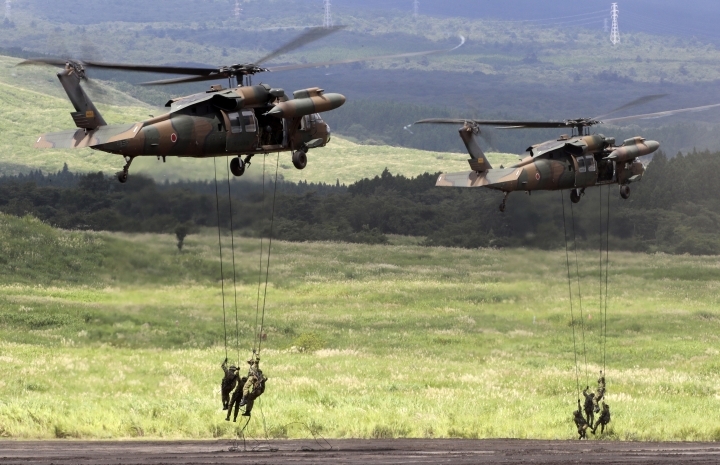 If approved by parliament, the budget request submitted Wednesday would be the fifth annual increase under Prime Minister Shinzo Abe, who ended a decade of defense budget cuts after taking office in late 2012. Military spending would rise 2.3 percent for the fiscal year beginning April 1. Japan is particularly concerned about North Korea's recent nuclear and missile development, saying it has increased tensions on the Korean Peninsula and poses a threat to regional and global security. 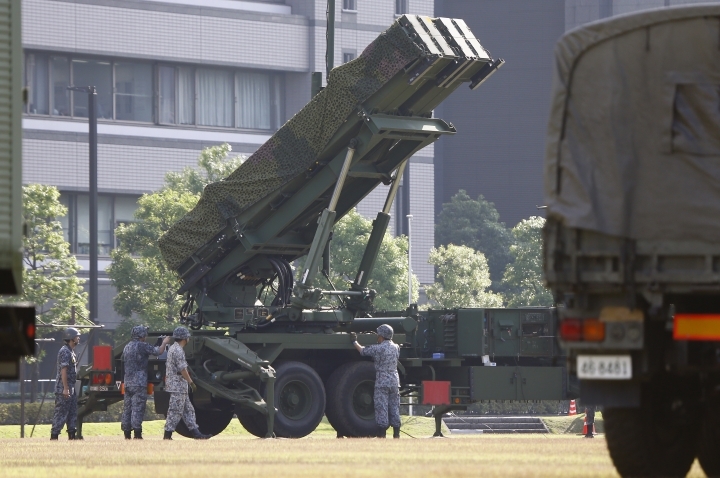 — 105.6 billion yen ($1 billion) to upgrade a dozen of Japan's PAC-3 surface-to-air missile defense systems to increase range and accuracy for deployment in 2020. — 14.7 billion yen ($140 million) to acquire next-generation missile interceptors jointly developed by Japan and the U.S., and to upgrade the capabilities of the destroyers that would carry them. — 76 billion yen ($735 million) to develop a new submarine with advanced surveillance capabilities in the face of growing Chinese activity in the East China Sea. — 74.6 billion yen ($720 million) to station guard units on the southern islands of Miyakojima and Amami Oshima. The Defense Ministry is also seeking the development of a long-range ship-to-air missile and the purchase of F-35 fighter jets. It would also set up an amphibious unit to be stationed in Nagasaki on the southern main island of Kyushu. Japan is bolstering surveillance and defense in the country's southwestern seas amid intensifying tensions around the disputed islands in the East China Sea, known as the Senkaku in Japan and the Diaoyu in China. Japan controls the remote, uninhabited islands. Under Abe, parliament enacted security legislation last year to enhance the country's military role, and revised its bilateral defense guidelines with the U.S., allowing broader cooperation between the two allies. Japan's annual defense report, released in early August, said North Korea may have achieved the capability to miniaturize atomic weapons so they can be mounted on warheads, as well as acquired a missile capable of reaching as far as 10,000 kilometers (6,200 miles).